Attendance machine comparison. 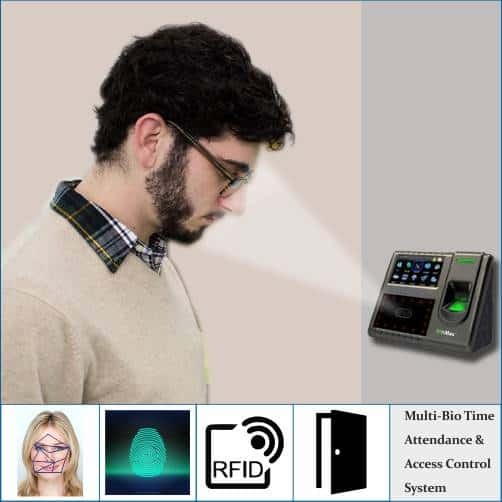 Comparison between the best selling Time and attendance models :E9999, 6161T and X990 We are here to solve your security problems, like surveillance of your shop, factory, ware house, branch office or any desired place from anywhere. Security solutions for theft prevention or damage to your valuables. Solution with latest technology to reduce your efforts and enhance your efficiency, and many more. Our main aim is to reach our client with latest technology and its features. With incredible experience and focus on developing innovative products and solutions, we have created a remarkable position for ourselves. Our product portfolio encompasses CCTV Surveillance System, Card Based & Finger Print Time & Attendance and Access Controls, Face Detection Machines, DP Sensors, Mifare Reader & Writers, Smart Cards, RFID cards, Video Door Phones,Energy Saving Switches, EM Locks & Brackets, Electronic Safes, Hotel Locks, Bio Locks, Door Controllers and Software Solutions. Widely used in various sectors including residential, industrial, commercial, transportation, institutions and many more, these are precisely manufactured using superior quality material and components. For further queries and requirements do revert back to us. These are best time attendance machine available in India. These are low cost time and attendance machines which help you in saving lot of your time and money. Best machines comes with best service. These time attendance machines with free software for payroll management which can help you save money and time. The software even can work with Oracle database and various other databases. Get access to 250+ industry standard reports. Customer with bulk purchase get a special discount. 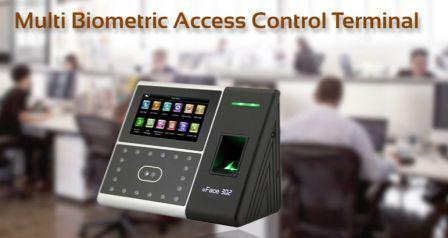 Become our dealer/sales partner to sell this amazing attendance machine with time and access control to your customers. Manage the attendance system of your corporation with the help of attendance machine. Don’t wait please contact us to know price and other details about the best low coast attendance machines available in India. Schedule your free online demo now. Email us at info@ampletrails.com or call us at 9315441078 WhatsApp 9315441053, 9818390836 for pricing and installation of this machine. You can download the trial version of the Biometric Time and Attendance Machine software from the below link. The default user id and password is essl/essl. Students attendance is an important concern for the parents as well as for the schools. With the increase in bunking of students, kidnaps, late coming of the child can be monitored using the RFID cards. RFID Student Attendance System | SMS to Parents GPRS based wireless plug play RFID device | Show and Go Attendance. Wireless Attendance Gate For School Walks Through Model with In/Out SMS, Biometric RFID Card base Student Automatic Attendance Systems. Every student has issued an id card which is RFID based on their name, photo, class, and other related information. This card is used by students to mark their attendance on the biometric machines. 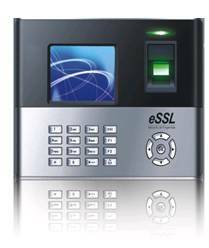 For students above 15 years of age fingerprint or face, attendance machines can be used to mark attendance. 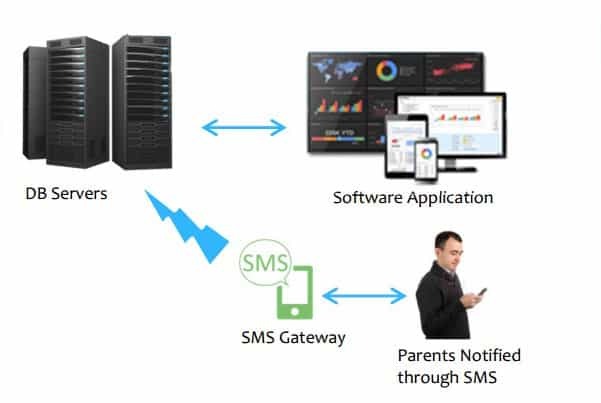 This can further be integrated with SMS API to send real-time SMS to the parents. Student name along with punch date and time can be sent to the parents mobile informing student is present today. This package that contains : Reader + Rfid Card + SMS + Server Charge + Application Charge + Installation. This system helps parents to know the status of their child and can also monitor the late going of their child in school. With this system, the school can improve the habit of students and ensure they always reach the school on time. This year don’t just give normal identification ID Cards to students give them RFID based identification ID Cards to students. This is a must feature for the child safety. RFID Card + RFID Reader + SMS gateway + Software get everything from us. Get in touch with us to get RFID Smart Card Based School Student Attendance System using RFID. Plug and play RFID based time and attendance solution. Instant SMS notification on mobile. SMS with student name and time.